Android handsets are a lot cheaper than iPhones? Shocking! Things can only get cheaper? 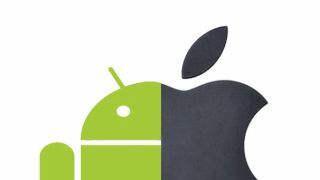 While it might seem obvious that an Android phone is cheaper than Apple's iPhone range, the average price of a phone running Google's OS is now half the price of that from the Cupertino brand. According to statistics site Statista (where you can see the price differences rising over the years) that difference currently sits at $374 (£224, AU$414), with iPhones selling at an average of $650 (£390, AU$720) and Android's selling with a mean value of $276 (£165, AU$305). That means in 2013 the average Android handset was only around 40% the cost of an iPhone. So what do these numbers actually mean? In truth, the numbers are more indicative of a worldwide trend rather than that of the western world. While Android flagships like the HTC One or Galaxy S4 do generally come in cheaper than their Apple counterparts, the price issue is much wider. Android handsets have dominated the budget market for quite some time thanks in no small part to the open source nature of Android. No cost to license the OS has led to a proliferation of super-cheap device, and even using the 'full fat' Android OS means lower-cost handsets like the Huawei Ascend G510 or the Samsung Galaxy Fame still bringing a relatively premium experience. This has led to Android becoming the OS of choice in emerging markets such as India and Brazil, areas where the 16GB iPhone 5S currently retails at a high 53,500 Rupees ($860, £515, AU$950) and 2,799 Real ($1170, £700, AU$1295) rather than the $649/£549/AU$869 in the US, UK or Australia. It has also meant that the average global Android handset price has dropped from $441 ($265, AU$490) in the past 3 years to the $276 we see today. It doesn't mean that we can expect the 'All new HTC One' or the Samsung Galaxy S5 to come out half the price of the iPhone 6 though. But will we get a cheaper Galaxy S5?